A new state record carp, weighing 33.25 pounds and measuring 40 inches in length, was caught in Otter Creek in April by Ferrisburgh angler Chase Stokes. 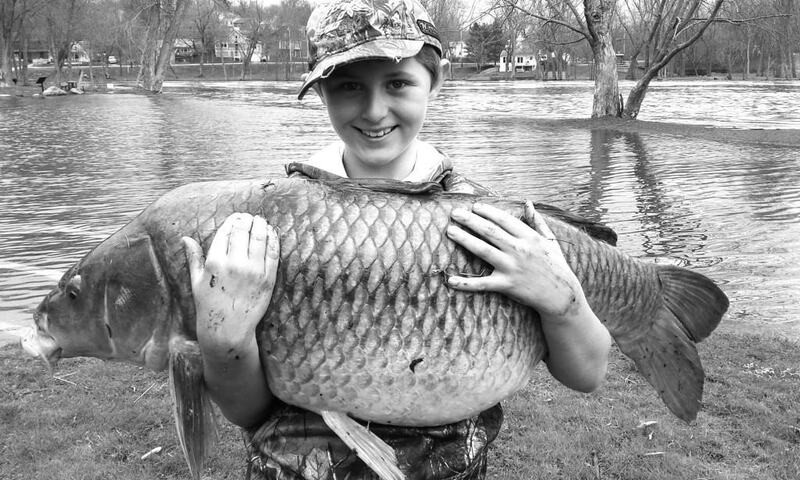 Stokes, an accomplished youth angler, caught the carp while fishing in the town of Panton. The fish had a maximum girth of 26.5 inches. A second state record for the redhorse sucker has also been certified. Mike Elwood of Burlington landed a redhorse sucker in the Winooski River in May that weighed 9.96 pounds, measured 29 inches in length and had a maximum girth of 18 inches. Elwood caught the redhorse sucker while fishing in the town of Colchester. The former record carp weighed 33 pounds and measured 35 inches in length, while the previous record redhorse sucker weighed 9 pounds and measured 27.5 inches in length. Both of the new records were made official this week after a thorough inspection process by fisheries biologists from Fish & Wildlife. The records are for the traditional method of angling, in contrast to records for bowfishing which are also recognized for both species. “The two fish add to the remarkable list of record fish being caught in Vermont year in and year out,” said Shawn Good, fisheries biologist. “Fifteen state records have been set for individual species of fish since 2010, and that list will likely grow as more and more anglers chase many of Vermont’s lesser-known, non-traditional fish species. Good also noted that the frequency of record fish catches in Vermont in recent years provides added incentive for anglers to get out on the water this summer and fall. Chase Stokes of Ferrisburgh holds the Vermont record-breaking carp he caught while fishing at Otter Creek in April.